I’ve been staring at my The Best of Clean Eating cookbook for a bit now, and while several recipes looked good, I hadn’t made anything from it. Paging through, a simple-looking Beef & Broccoli Orange Stir-Fry caught my eye. Because I don’t care for broccoli (I hear that makes me a weirdo), I swapped out fresh green beans which I love! And because I already had tenderized pork steaks in the freezer, I swapped those for the steak. I made a few other tweaks to the original recipe to accommodate what I had on hand, but I don’t think they affected the flavor. Because I didn’t think to look for reviews online, I didn’t know how good the dish would be. 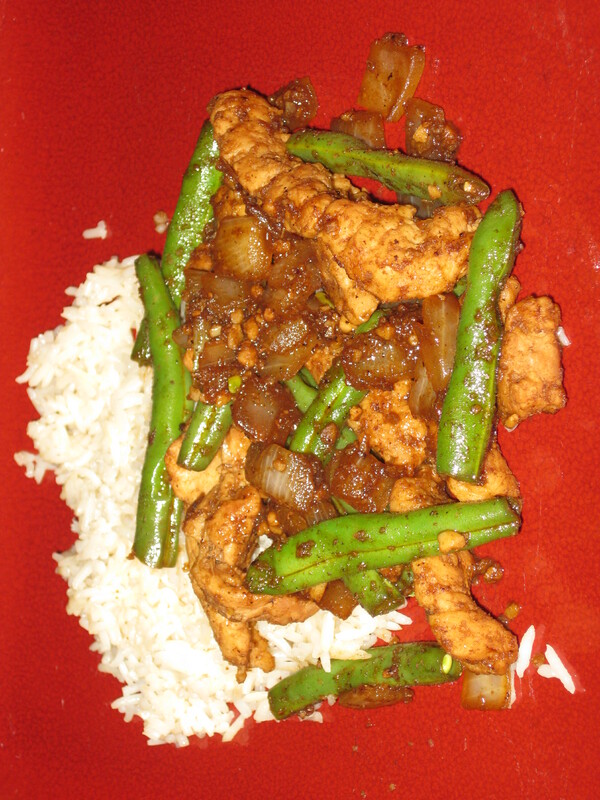 I cut back the meat to 1/2 pound, but used the called-for amounts of the rest of the ingredients. I really liked the flavor of the sauce, and The Pretty One and I ate it up! I wonder, though, how it would have been if I’d used the whole pound of meat, the soba noodles, and added the flour to the sauce. I don’t think it would have been a very successful dish because there was very little extra sauce even without those ingredients. That might be OK with you, but I like a lot of sauce to flavor the rice or noodles. Next time I will use the whole pound of meat, quadruple the sauce, and maybe squeeze a fresh orange on top. I’ve adjusted the recipe to reflect that, so keep that in mind when you try this out. Click for recipe. Heat large nonstick skillet over high heat for 1 min. Reduce heat to medium-high, mist pan with cooking spray and saute meat for about 2-3 minutes to desired doneness. 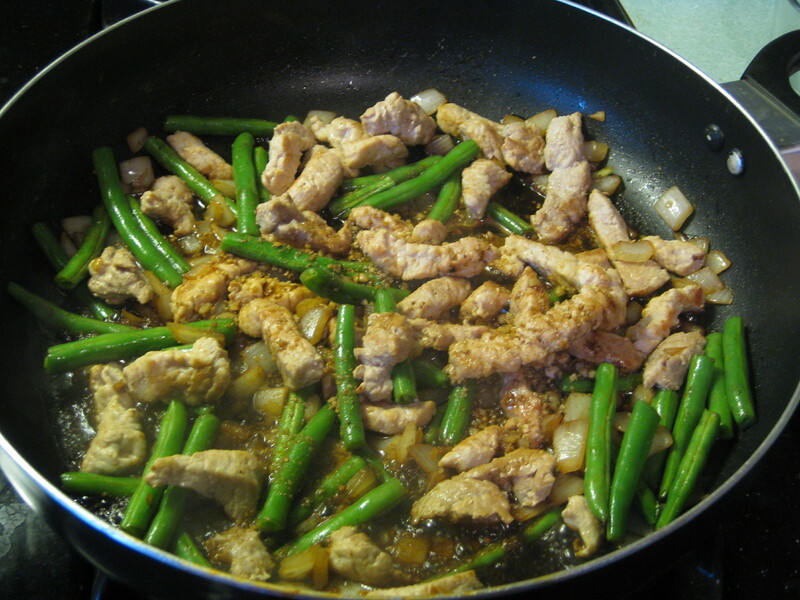 Remove meat, leaving juices in the pan. In a medium bowl whisk together soy sauce, orange juice, zest, garlic and honey. Add meat back into vegetable mixture and pour in soy sauce mixture. Sauté over medium high heat for about 2 minutes then whisk in flour to thicken [if using], about 4-6 min. squeeze fresh orange over mixture, remove from heat and serve over rice or noodles. « Chocolate Madness ~ Knock You REALLY Naked Brownies!